With Thursday Night Football looming, it is time to start locking in lineups for week 8. There are some prime matchups to be exploited, but also a couple of bye weeks to work around. Take a look and then decide how you want to attack the new week with the week 8 quarterback rankings. The Broncos defense is not what it once was. Mahomes managed 25 points against them on the road. This game is at home so he should be a good bet to approach 30 fantasy points. After two straight 400 yard passing games, Rodgers comes up against the Rams. This matchup is no cakewalk, but the Packers are going to need to throw to compete. I like Rodgers to put up some big numbers, not that this is some kind of revelation. Respect to Luck for proving me wrong and making it back to the elite tier. 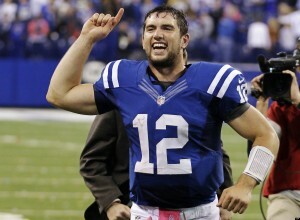 As I have previously mentioned, I was wrong about Luck and he is all the way back. 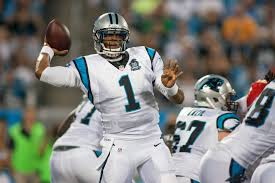 I still have long term concerns about his shoulder, but for now he is a no doubt QB1 again. This is a decent matchup for the Rams and I like Goff a lot. I like him even more if Cooper Kupp is good to go, but I won't hold my breath for that. Despite sometimes inconsistent play, it is hard to imagine Cousins not producing most weeks. He has an almost psychic connection with Adam Thielen and Stefon Diggs is an all world talent. Despite adding Eli Apple to the secondary, the Saints are very beatable on defense. Sometimes I have to overcome my own bias when I do not like a player. This is one of those times. I don't like Winston, but he puts up fantasy points. The Bucs were already awful on defense and they lost one of their best defenders for the season last week. Dalton is a top 10 play in week 8. I have not seen enough to think that Trubisky is an above average quarterback, but Nagy has his schemes working right now. The Bears did a great job of surrounding the young qb with talent and giving him a chance to succeed. It is hard not to rank Watson higher, but he is just getting killed by defenders. The Texans cannot protect their quarterback at all. As long as that is going on, he will continue to creep down the rankings. The Saints offense is usually not as explosive on the road as they are in New Orleans. It is still difficult to rank Brees outside the top ten, so I won't. With or without LeVeon Bell, the Steelers are an offensive machine. There are targets all over the field for a veteran like Roethlisberger to take advantage of. The Browns have a very solid pass defense, so Big Ben is a lower tier starter than he would normally be, however. There was a time not long ago when a matchup with Seattle meant bench your quarterback. Now that matchup means very little and Stafford is an easy choice to start in 12 team leagues. It may be time to bench Newton against the Baltimore defense. Be sure to check out the rest of the Knuckleheads positional rankings before you set your lineup tomorrow. Also, swing back to the waiver wire picks if your lineup needs a tweak. Follow me on Twitter for extras or to get your questions answered: @brendancole16.